The new hypersoft tyre compound won’t be used in the first three races of the 2018 Formula 1 season, Pirelli have revealed. With just over 100 days until the first Grand Prix of the season, the tyre manufacturer has announced its compound choices for the events in Australia, Bahrain and China. Drivers will be able to choose between the soft, supersoft and ultrasoft tyres for the opening race in Melbourne, which were the same options available for 2017. The medium tyre will make its first appearance at the season in Sakhir two weeks later, along with the soft and supersoft. China is the only event to have different compound options to 2017, with the ultrasoft preferred to the supersoft in Shanghai. This also means the softest tyre available to teams for the Chinese Grand Prix will be two compounds softer than the next option. The announcement means only four compounds will be available throughout the opening three weekends of the season, with the hard, super hard and hypersoft options all being saved for later in the year. 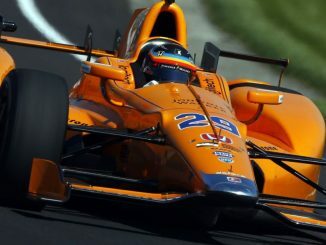 Each driver has to save one set of the softest compound available at that race for Q3 in qualifying, which is returned to those who qualify in the top 10, while those dropping out in Q1 and Q2 will have that set available for the race. Although the compound selections are similar in name to last year’s for these three races, Pirelli are making their 2018 tyres softer, and have predicted more races will see drivers making two stops. At last year’s Australian Grand Prix, most drivers only needed one trip into the pits, but that could change next season if Pirelli’s tyres are indeed softer. 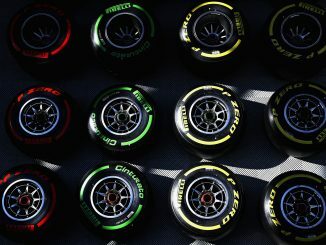 F1’s sole tyre manufacturer expects the changes will cause some drivers consider using three different tyres during a race, although Pirelli doesn’t expect the superhard to be used during race conditions. Pirelli has to announce its selections for long haul races 14 weeks in advance, while tyre nominations only need to be made eight weeks in advance for the European races. 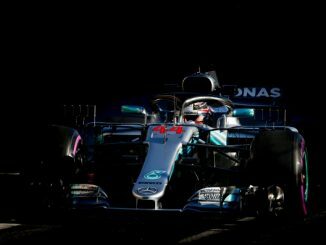 The Azerbaijan Grand Prix takes place more than eight weeks after the first pre-season test, while the Monaco Grand Prix is over eight weeks after Australia, giving Pirelli time to get feedback on their newer softer tyres before giving teams a wider range of compounds for races later in the season.